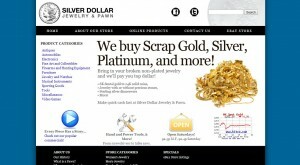 Silver Dollar Jewelry & Pawn address, phone, website, and more. Silver Dollar Jewelry & Pawn was founded by Tim Clark, Sr., on Brookside in Tulsa, Oklahoma. Sensing a need for an pawn shop that can cater to upscale clients while still offering full service, Tim created Silver Dollar with a family atmosphere in mind that offers personal service for all situations. One of Tim’s sons, Chris Clark, manages the store, working with employees to provide exceptional value and service. Silver Dollar Jewelry & Pawn has grown to become Tulsa’s premier pawn shop for all types of items, specializing in fine jewelry, antiques, and automobiles.